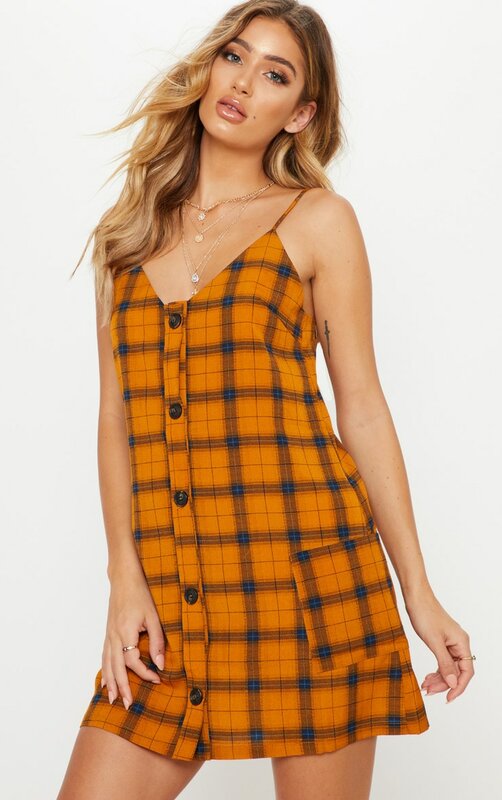 Update your summer wardrobe with this cute shift dress. 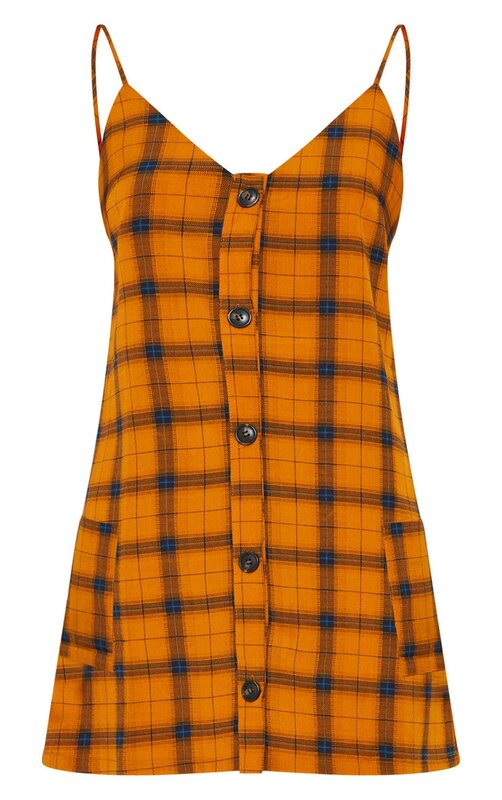 Featuring an orange material with a checked print, a button up detail and a pocket detail. Style this dress with flatform sandals and gold accessories.